Home » Uncategorized » Thanks, Comey! As we endure the seemingly endless stream of assaults on democracy, facts and basic human decency that is the Trump Administration (almost 2% of it is behind us. Stay strong, and keep fighting back! ), it is well to remember that we wouldn’t be living in TrumpLand at all if it weren’t for the unprecedented and indefensible intervention of FBI Director James Comey in the last few days of the election. …Clinton’s lead was considerably more fragile than it appeared from national polls. Not only was she underperforming in the Electoral College … but a much larger number of voters — about 13 percent on Election Day and as many as 20 percent at earlier stages of the campaign — were either undecided or said they planned to vote for third-party candidates Gary Johnson and Jill Stein. Those undecided voters made Clinton’s lead much less safe and they broke strongly toward Donald Trump at the end of the race. Trump won voters who decided in the last week of the campaign by a 59-30 margin in Wisconsin, 55-38 in Florida, 54-37 in Pennsylvania and 50-39 in Michigan, according to exit polls, which was enough to flip the outcome of those four states and their 75 combined electoral votes. Were there other factors? Sure. But it’s clear that Comey’s historically unprecedented participation in the election greased the skids in a big way into TrumpLand. Which makes it all the harder to understand why he sat on the Trump/Russia evidence all through the summer, and then rushed to the microphones to drop dark (and ultimately empty) hints about Hillary a few weeks before the election. 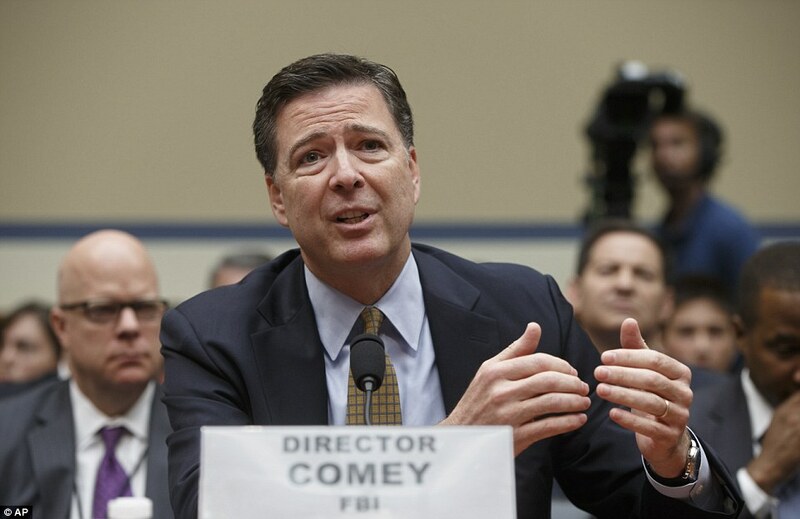 To recap: Less than two weeks before Election Day 2016, Comey announced that the FBI was again investigating whether there were previously unreleased emails from Hillary Clinton on a laptop that she did not own. Comey felt voters needed to know this even though the search warrant showed that the FBI had “no new evidence” that Clinton had done anything wrong. Now we know that when Comey spoke up about Clinton while remaining silent about allegations of contact between Trump’s team and the Russian government, not only were there mere allegations but also concrete evidence that such contact was frequent and ongoing.